Add Energy VP Damon Bowler (right). 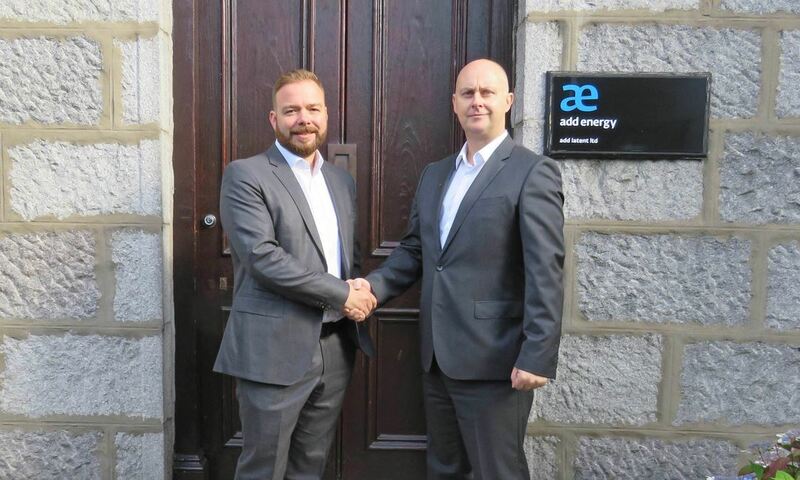 Energy consultancy Add Energy has today announced the appointment of Damon Bowler as vice president of its asset and integrity management division. Mr Bowler, who spent a number of years with Shell, will oversee the new division and have a “specific focus” on Aberdeen, according to Add Energy. Joining Add Energy in 2017, Mr Bowler served as project manager on the BP West Nile Delta project and programme manager on BP’s Tangguh Expansion Project in Indonesia. With a particular focus on safety, Mr Bowler also currently chairman of the Step Change in Safety Hydrocarbon Release Prevention working group and is author of the current offshore industry best practice guidelines. Add Energy won the 18-month BP West Nile Delta deal more than a year ago, estimated to be worth nearly £1.4 million.